A distinctive and original sterling silver golf ball marker personalised with your own special message and image, the perfect gift for a golfer. A unique handmade sterling silver golf ball marker makes the perfect gift for the golf lover to take precious memories onto the course with them and is certain to become a talking point amongst fellow golfers. 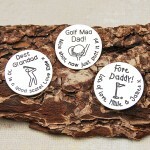 These golf ball markers are perfect for messages of love to Dads and Grandad to mark special occasions such as Birthday's or Father's Day or for family members and colleagues celebrating milestone birthdays or even retirements. The sterling silver disc will be beautifully etched with your own personal message and complimented with a small golfing image in the centre. You can also have the reverse etched with a further message or image for no extra charge. At the top of the golf ball maker you can have a short message over two lines, with up to 8 characters on each line. 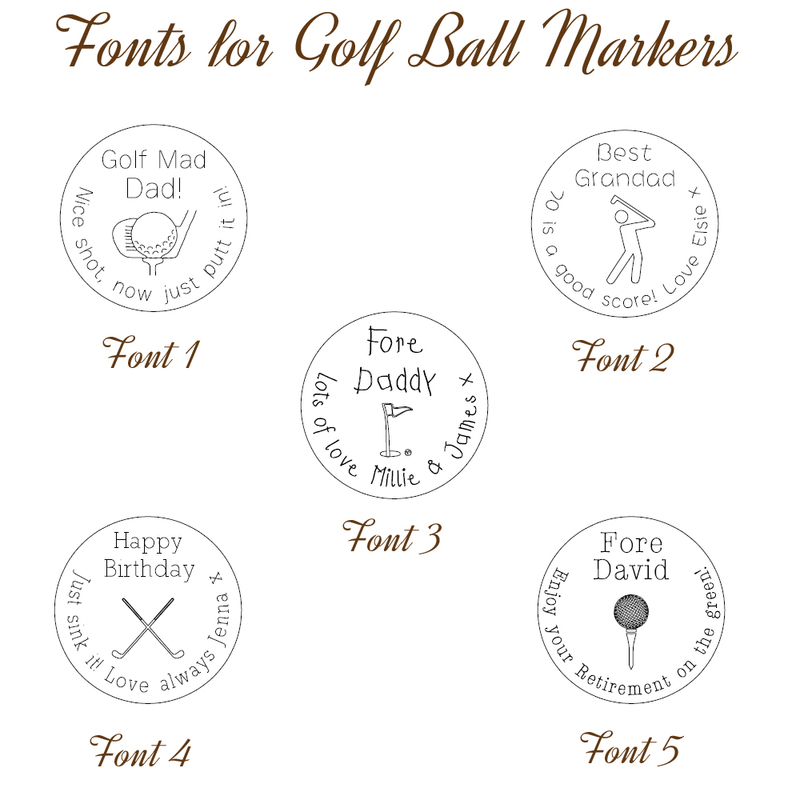 This is great for personalising the marker with who it is for, such as Fore Dad, Best Grandpa, Golf Mad Dad etc, or even to say Happy Birthday. 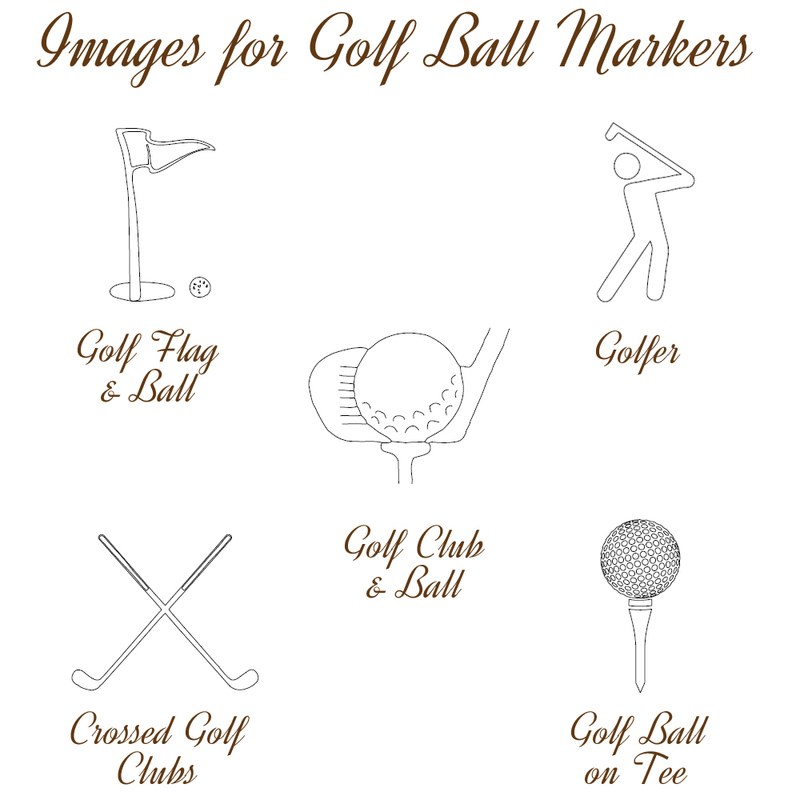 Then you can have a longer message of up to 35 characters curving around the image at the bottom edge of the golf ball marker. Here you could include a short golfing quote, words of inspiration, or simply who it is from. 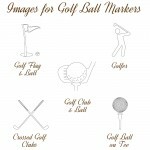 You have a choice of different font styles for the message and also a selection of golfing images to choose from. A further message of up to 48 characters (which includes spaces) can be accommodated on the reverse of the silver disc. 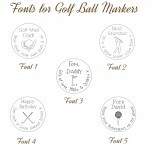 This personalised silver golf ball marker will be handmade especially for you in the UK and will be beautifully wrapped in tissue paper and packaged in an IndiviJewels gift bag.